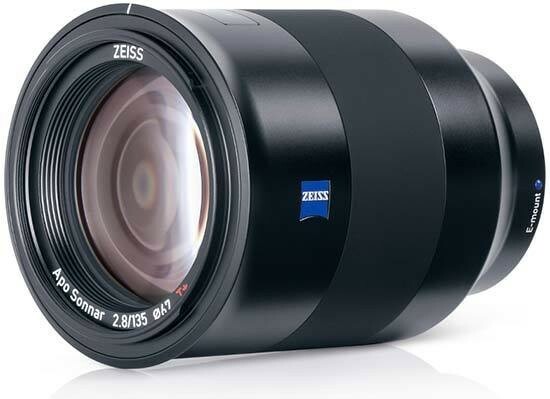 The Zeiss Batis 135mm f/2.8 is an outstanding medium telephoto prime lens. You’d expect sharpness to be high across the frame from such a premium optic, and it doesn’t disappoint. Even with our A7R II test camera shooting 42-megapixel images at high ISOs, detail is exceptionally sharp. Shooting at the maximum f/2.8 aperture does reveal a minor reduction in sharpness, but this is resolved by f/4, and even at this aperture the lens is able to produce beautifully smooth bokeh and completely blurred backgrounds. The Zeiss Batis 135mm f/2.8 is also a pleasure to use, thanks to its superb weather-proof build quality, smooth focusing ring, built-in optical stabilisation and innovative OLED display. When manually focusing, together with the A7R II's excellent Peaking feature, the Zeiss Batis 135mm f/2.8 delivered a very high percentage of keepers, and it also proved to very quick, quiet and accurate when auto-focusing. Vignetting is apparent when shooting wide-open at f/2.8, but quickly disappears as you stop down, while chromatic aberrations are very well controlled. There are very few drawbacks to the Zeiss Batis 135mm f/2.8 lens in terms of peformance - the major stumbling block is really the asking price of £1749 / $1999, an awful lot of money to pay for such a specialist lens. If you earn your living from portraiture, though, the Zeiss Batis 135mm f/2.8 makes a fantastic addition to your lens collection.